Offering you a complete choice of products which include lc creasing & perforating machine 25", lc 2 in 1 creasing & perforating (470a), lc creasing machine a/3 16b and lc manual creasing machine a3. We widely offer 25" CREASING & PERFORATING MACHINE to our customers. 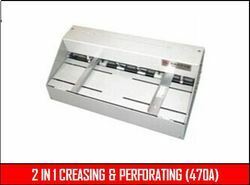 We widely offer 2 IN 1 CREASING & PERFORATING (470A)to our customers. It is compact & steady. It is fit for the creasing of namecard, photo and cover and dotted line of paper coupon. 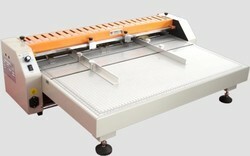 Multifunction creasing machine is applied to the film lab and printing office. 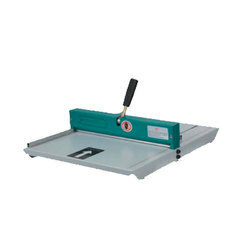 We widely offer A3 Manual Creasing Machine to our customers. Our company offer Manual Creasing Machine, which is used for both light and heavy paper and PVC. These are well testified to ensure its quality at every level before delivering it to our valued clients. We are highly appreciated for supplying these machines within time frame. These machines are available at industry prices in the market.